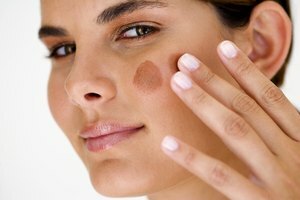 Test foundation on your face, instead of the back of your hand. Foundation is the second most popular product in the universe of cosmetics, according to a report by Hewlett-Packard. In an ideal world, there would be one foundation that adjusts to every skin type and color -- but in this world there are dozens of foundations in varying types, colors, tones and consistencies, and it's still sometimes difficult to find the one that matches your particular skin tone. Choosing the right foundation can make your skin look flawless; however, choosing the wrong foundation can make you look ridiculous. Foundations come in liquid, powder and cream formulas. Some provide light coverage while others make imperfections practically invisible. If you have oily skin and need a moderate amount of coverage, choose an oil-free, matte-finish liquid foundation. These formulas even out skin tone while giving a matte finish that helps control shine from oil. If you have normal or dry skin, choose a water-based liquid foundation. Even though they are water-based, these foundations do contain some oil, so they moisturize your skin slightly. If your skin is extremely dry, opt for an oil-based foundation, which keeps the skin moist and gives a dewy finish. 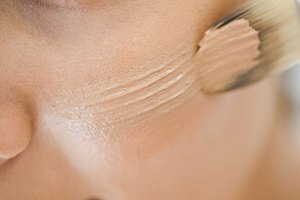 If you have normal-to-oily or combination skin, choose a pressed-powder foundation. Powder foundations don’t provide as much coverage as liquid foundations do, but they blend easily and feel light on the face. Another option is mineral makeup, which isn't a special type of foundation, but rather a powder foundation made from pure minerals without any additives. 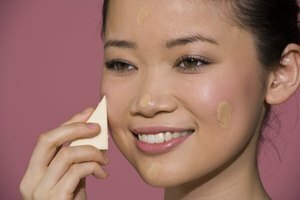 Cream-to-powder foundations -- which are ideal for normal or slightly dry skin -- provide full coverage; they blend on like a liquid, but they look like powder foundations when they dry, and they provide a matte finish. Sheer foundations and tinted moisturizers give very little coverage, but they moisturize skin and even out the skin tone of those who don't have a lot of blemishes. If you have normal-to-dry or slightly oily skin that doesn't need a lot of coverage, a sheer foundation may be your best friend. Once you’ve narrowed down the type, it’s time to tackle tone. Your skin is classified as warm, cool or neutral, depending on your undertones, which are the colors that lies beneath the skin. If your skin has hints of blue, red or pink, your undertone is cool. 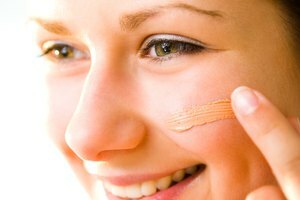 If your skin appears yellow or orange, you have a warm undertone. If you see no obvious underlying colors in your skin, you may be neutral. Another way to determine your undertone is to look at your veins. If they appear blue, you’re cool; if they look green, you’re warm. If you see a combination of both colors, you’re neutral. Now that you’ve figured out the type and tone of the foundation you need, the final step is shade. The only surefire way to find your perfect shade is to try on the foundation. Test foundations by smoothing a small amount on your jawline so you can find a good match between the skin on your face and the skin on your neck, which is often lighter than your face. If possible, go outside or stand near a window where your skin is exposed to natural light. The foundation should not change the color of your skin, and it should blend in invisibly while still covering imperfections. As the seasons change, so should your foundation. Your skin naturally gets lighter in the winter when you’re exposed to less sunlight, so your foundation should get lighter too; when your skin darkens in the summertime, your foundation shade should follow suit. 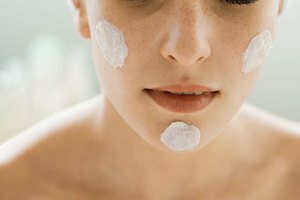 Your skin may also tend to get drier as the temperatures get colder. The powder foundation that worked for you in the summer may not work for your dry, dehydrated winter skin. Be prepared to change your routine as needed -- and don't be afraid to experiment with different types. Paula's Choice: Which Foundation Type is Best For You? Boyers, Lindsay. "How to Choose the Correct Foundation Makeup." Synonym, https://classroom.synonym.com/choose-correct-foundation-makeup-16024.html. Accessed 18 April 2019.